Tom Mulhern, of the Madison State Journal, answered some questions for us about Wisconsin. BS: The Badgers have won their second consecutive Big 10 title under Bret Bielema. How good a job has he done in turning this program from a very good program to a great program? Tom Mulhern: The Badgers are 32-7 over the last three years, the sixth-best record in the nation over that time, and are playing in the Rose Bowl for the second straight year. Bielema has courted national attention for his program, throwing open the doors for ESPN's "Depth Chart" program and rarely turning down an invitation for interviews with the national media. Having high-profile transfer quarterback Russell Wilson pick UW over Auburn was certainly a big accomplishment. Having running back Montee Ball be a Heisman Trophy finalist also helped. But Bielema has to take advantage of all of the attention and win a Bowl Championship Series game. Under previous head coach Barry Alvarez (now the school's athletic director), the Badgers were an underrated team that didn't seem to be appreciated nationally. Yet, they went 3-0 in Rose Bowls under Alvarez. Bielema has them knocking at the door of being an elite program. But thanks to lousy non-conference schedules and the lousy national reputation for the Big Ten Conference, the Badgers won't be considered to be a great program until they start winning these big games. 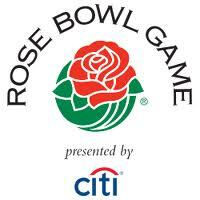 BS: After losing last year's Rose Bowl, how important is it for the Badgers to win this one? Tom Mulhern: : Last year's Rose Bowl was a missed opportunity. TCU was a quality opponent, but it's a game the Badgers came away from, feeling like they should have won. In some ways, it was a no-win situation. The Badgers were the underdogs in the game, but as good as TCU was, it was a school from a non-automatic-qualifying conference. As a result, UW fans expected the Badgers to win. It's different this time. Everybody knows Oregon is a quality opponent. Beating the Ducks would be a huge statement win for the Badgers. It's not just the loss in last year's bowl game, but Bielema has know lost three of his last four bowls. Another loss and that goes to four of five, as well as 0-2 in Rose Bowls. That's the point where the fans start bringing up the previous coach's record in the Rose Bowl. There's no shame in losing to the Ducks. The problem comes in losing back-to-back Rose Bowls. That's why the loss last season stung so much and continues to sting. BS: The offense has been very good this year, led by QB Russel Wilson and RB Monte Ball. Talk about the play of those 2 and who are the other top weapons? Tom Mulhern: Wilson and Ball are the best quarterback-running back combination going in college football this season. The remarkable thing has been the consistency of the two; neither has had anything close to what you could consider a bad game. They are also two of the hardest workers on the team, so they have helped set the tone for the entire team. The offense is loaded. Right guard Kevin Zeitler and center Peter Konz are All-Americans. Right tackle Josh Oglesby made the All-Big Ten Conference first team. Nick Toon is an NFL talent at wide receiver. Jared Abbrederis is an underrated threat at the other receiver position and was more productive than Toon in the second half of the season. All tight end Jacob Pedersen seems to do is catch touchdown passes. I believe all 11 starters in this offense will get a chance to play in the NFL. They might not all get drafted, but barring injury, every one should at least get invited to an NFL camp. That's impressive talent. But it all starts with Wilson and Ball. BS: The defense gives up 17 points a game. Who and what make this unit so successful? Tom Mulhern: : The strength of the defense is the two linebackers, Chris Borland and Mike Taylor, who both have more than 100 tackles. Both are excellent all-around athletes, although they might not have quite the straight-line speed of some other top linebackers. The defensive line has great depth, rotating eight quality players. They can all play and there's good size inside at tackle, including 300-pounders in Ethan Hemer and Beau Allen. Cornerback Antonio Fenelus is a solid cover man. But the numbers are deceiving. The defense is solid, not spectacular. The only top-50 offense it has faced is Northern Illinois (No. 10). Seven opponents rank No. 77 or worse. The best passing quarterback it faced was Michigan State's Kirk Cousins, who averaged nearly 300 yards passing in the two games he played against Wisconsin. Tom Mulhern: : As I mentioned before, Abbrederis has had some big games this season, including five with 90 or more receiving yards. So maybe it wouldn't be a true breakout performance, but not many people outside of Wisconsin know about him. I think Oregon's defense will sell out to stop the run and focus its coverage on Toon. That could leave Abbrederis in single coverage and he could have a big game. Also, special teams are huge in bowl games. Abbrederis ranks third nationally in punt returns and could be a factor there, too. Ken Goe, of The Oregonian, answered some questions for us. BS: Oregon went 11-2, won another PAC 12/10 championship, but lost a shot at the national championship game. How would you rate this season overall for the Ducks? Ken Goe: Winning a third straight conference title outright and playing in the Rose Bowl makes this a successful season. Oregon is the only team currently playing in a BCS game to have played in three straight. BS: Oregon has not had success under Chip Kelly in bowl games. How important is it for Oregon to get a quality win over a program from another conference? Ken Goe: It depends on what you consider important. I think there will be a national perception that Oregon (1) has been successful in the Pac-10/Pac-12 only because USC was down, and (2) that the Ducks aren't quite good enough to belong in the upper echelon until they beat a quality nonconference opponent. BS: The offense was again very strong. Talk about the play of QB Darron Thomas, RB LaMichael James, and who are the other top weapons? Ken Goe: It's hard for me to castigate Darron Thomas. His numbers are great. He didn't run as much this year, possibly because of left knee issues, and he had periods in some games where he didn't throw accurately. But overall, you would have to say he had a very good season. LaMichael James is one of the best running backs in college football. He is fast and runs with under-appreciated power. He improved this season as a pass catcher. Kenjon Barner is almost as good as James as a ball carrier and probably better as a receiver. De'Anthony Thomas is a human lightning bolt. He will need to add some heft if he is going to be an every-down running back. He might stay in his TASR role. David Paulson has a great set of hands and a knack for getting open at tight end. And of course, the offensive line does a very job of executing the blocking schemes that Oregon employs. BS: The defense had a solid season, and in my opinion is very underrated. What does this defense need to do to be successful in the bowl game and who are the key players? Ken Goe: The Ducks need to stop the run, control down and distance, and get into situations where they can use their stunts, blitzes and different coverage packages. They are very good at making big, momentum-changing plays, sacks, forcing fumbles, making interceptions. Dion Jordan, John Boyett, Eddie Pleasant, Michael Clay, Josh Kaddu, Bo Lokombo are all big-time playmakers. Ken Goe: DAT. I think if the Ducks can get him matched against Wisconsin's outside linebackers, he could have a big game.